SOFIA, Bulgaria (BulgarianMilitary.com) – The Bulgarian Air Force reports that the main tasks set in its Action Plan for the previous 2018, have been successfully accomplished and the troops are capable of performing missions and operations. These are some of the main conclusions made during the Air Force’s annual analysis, which took place yesterday (21st January). During the analysis, emphasis was put on the necessary training, military personnel and the flight safety, learned BulgarianMilitary.com. 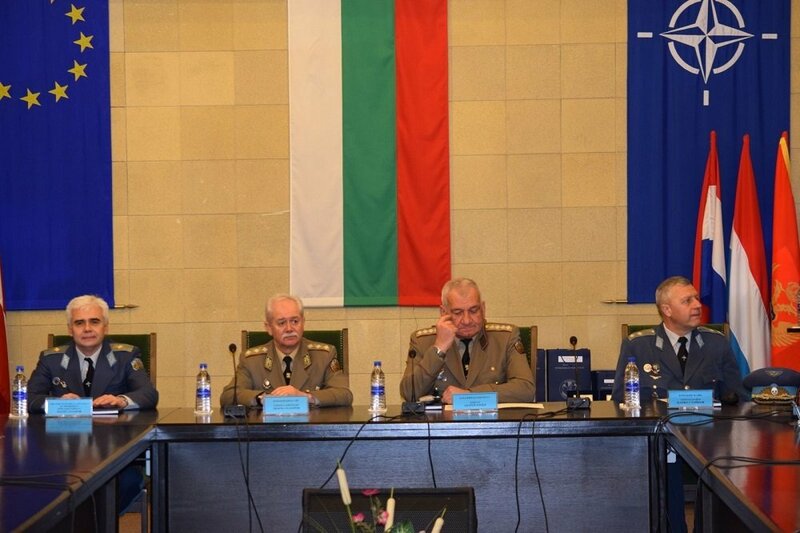 The Commander of the Bulgarian Air Force Major General Tsanko Stoykov said in his report, that the service focused their efforts on the preparation for building the capabilities necessary for planning and participating in operations including and joint ones. In addition, the Bulgarian Air Force have actively participated in the implementation of the third mission of the Armed Forces “Contribution to the national security in peacetime ” and have guaranteed the air sovereignty of the country, providing continuous and effective protection of the Bulgarian airspace. As the most challenging in the past year, his report points out, the efforts in keeping the trained staff and the young specialists motivated, who are key factor in the successful accomplishment of the tasks. Maximum possible amount of resources has been focused on ensuring continuity and reaching the levels of preparation by young military specialists. Action has been taken at all levels to be minimized the main risk factors related to the flight safety. “The realization of modernization projects that are focused on the acquisition of a new combat aircraft, is fundamental to the successful development of the Air Force’s capabilities as well as to the achieving of interoperability with our allies,” said Major General Tsanko Stoykov. In 2019, the efforts of the Air Force Command and personnel will be focused primarily on the following areas: maintaining and improving the level of flight training in fulfilling core aviation tasks; conducting training courses for a young flight crew; providing equipment; participation in national and international exercises with emphasis on “Shabla 2019”; actions in the Air Force units to ensure high levels of flight safety. The Air Force’s analysis on the last year was carried out with the participation of the Chief of Defence General Andrey Botsev, the Commander of the Joint Force Command Lieutenant General Lyubcho Todorov, as well as, Chiefs of Departments and Sectors in the Command and Staff of the Air Force and the Commands of the subordinate military formations. The Commander of the Bulgarian Air Force awarded servicemen of the Command and subordinate military formations, for their professionalism and excellent results achieved while performing their duties in 2018.